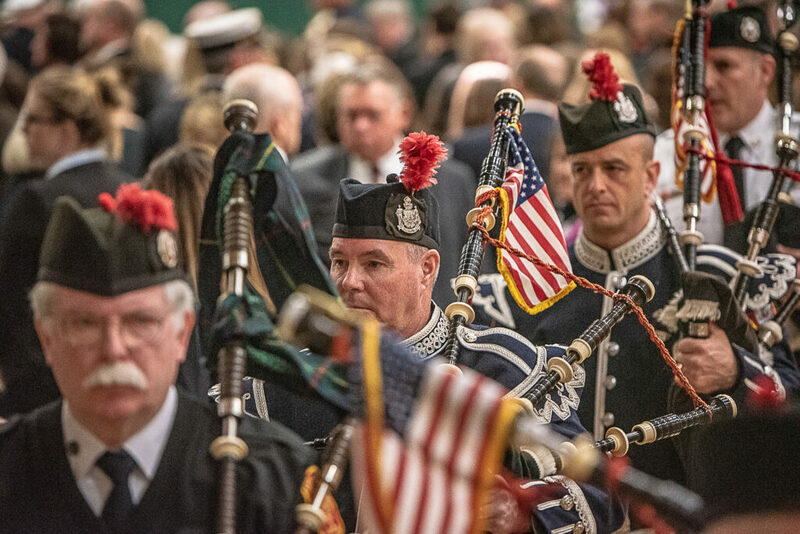 Hundreds attended Chief Gary Sacco's funeral on Saturday. 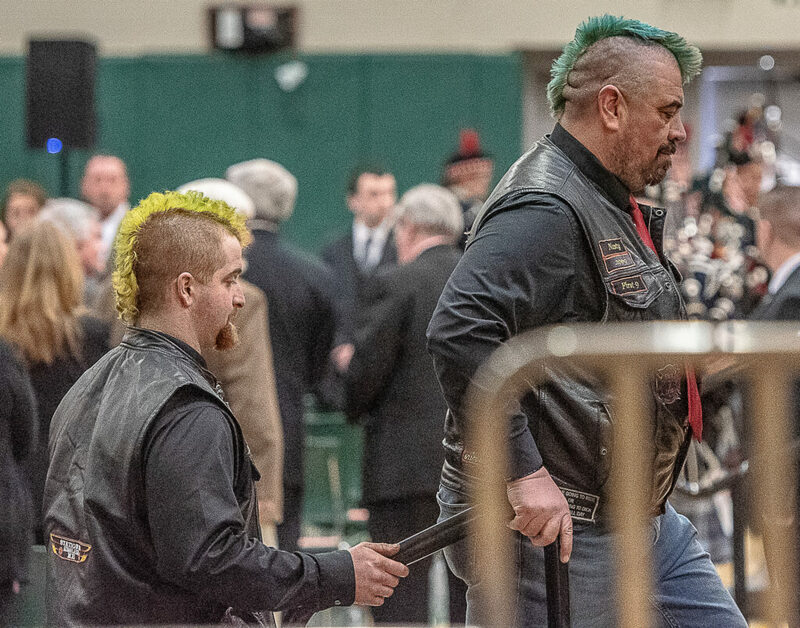 PARIS — Gary Sacco was remembered Saturday as a wonderful chief, a straightforward and honest friend, and a quirky, dog-loving family man. 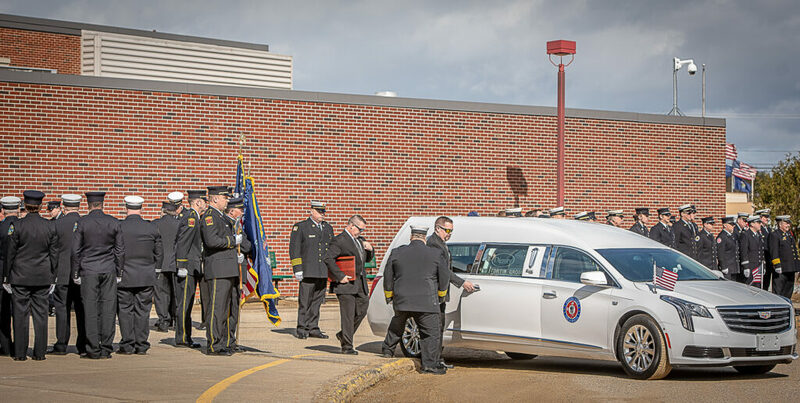 The Oxford fire chief, 63, suffered a fatal medical event March 10 at the funeral of Berwick Fire Capt. Joel Barnes, 32, who died fighting a house fire March 1. 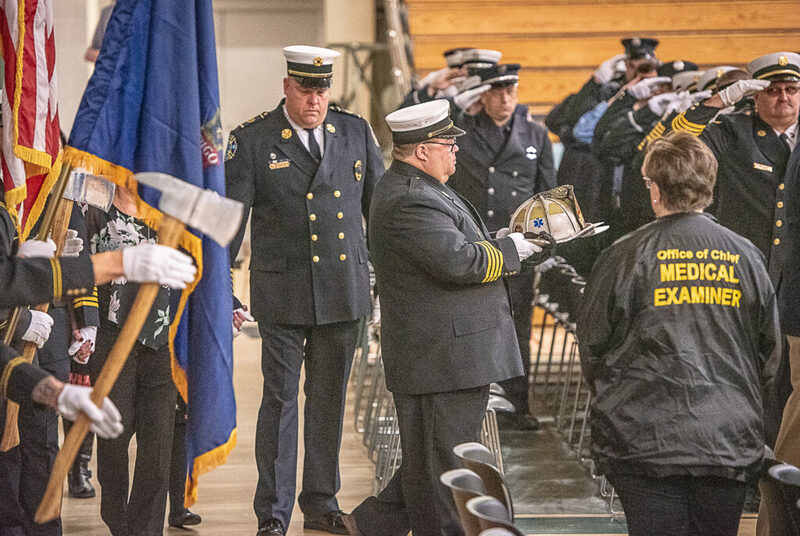 Crews, including firefighters, troopers, rangers and first responders, from all over Southern and Central Maine came to Oxford Hills Comprehensive High School on Saturday to honor Sacco. According to Bruce Tupper, chief of the Raymond Fire Department, Sacco was a natural teacher, down to his last moments. 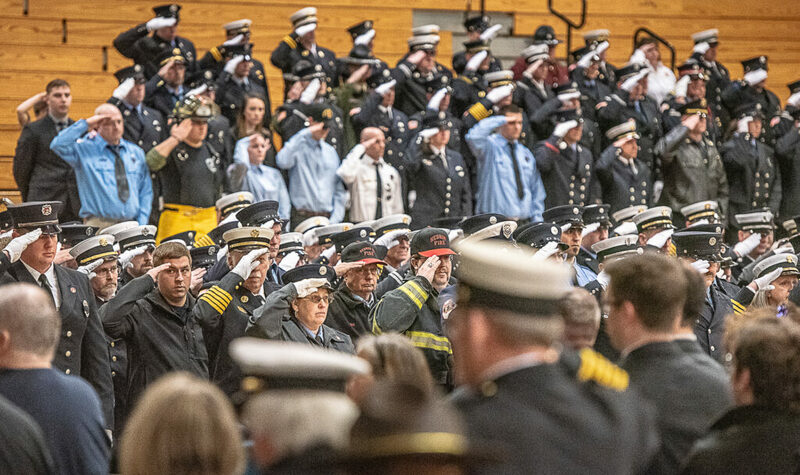 When Sacco arrived in Portland to honor Barnes, he came not only as a fellow firefighter honoring a lost brother but as a teacher remembering a student. 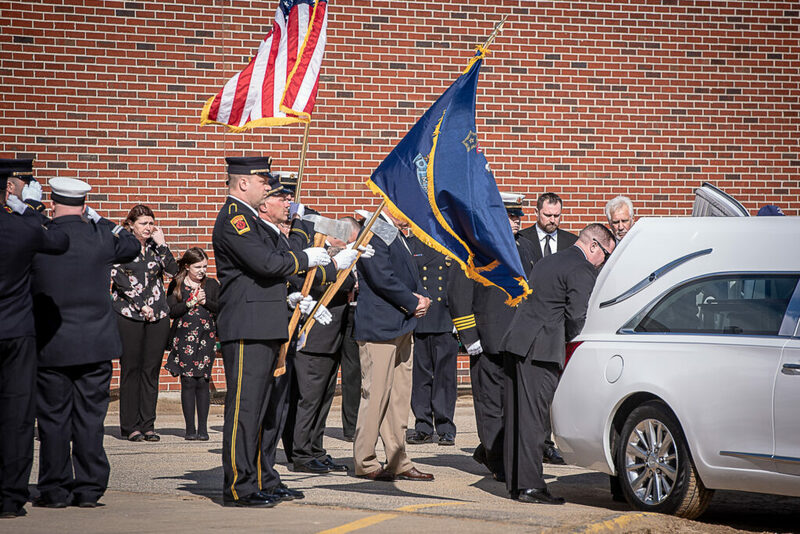 A respected and veteran fire educator, Sacco was Barnes’ instructor in a Fire Officer Program Barnes took before he died. Sacco died shortly after honoring Barnes. “He had a way of pushing people, to get a little bit more out of them, so they would want to learn. He did that extremely well,” Tupper said. 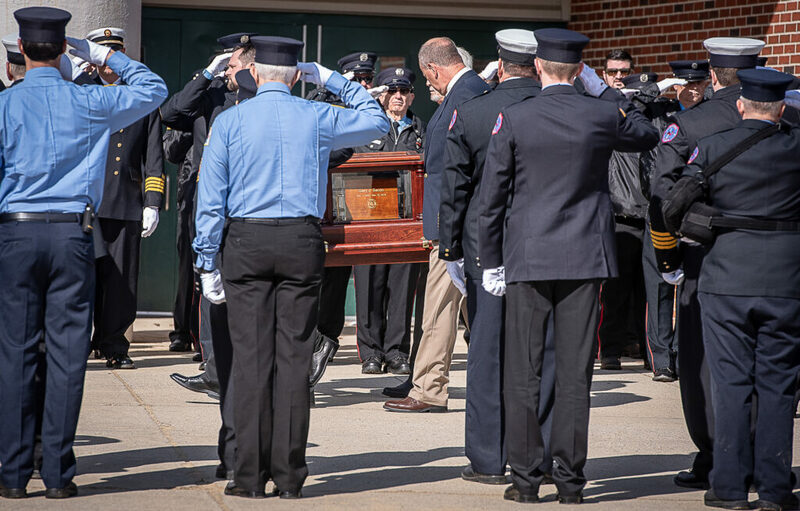 “He understood what it meant to give back to the fire service. That’s why he became an instructor,” said Richard Shepard, a firefighter with the Casco Fire-Rescue Department. By all accounts, Sacco was devoted to the fire service. 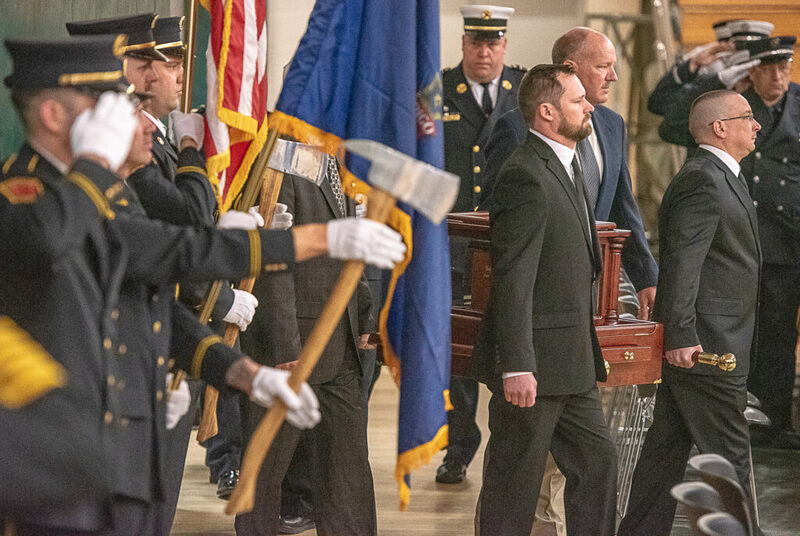 And, according to those who spoke at his funeral, he understood the sacrifices that came with dedicating his life to the fire service. According to Tupper, Sacco genuinely cared about the safety of his community. And that concern propelled Sacco, even when the consequences were serious. Tupper said that one icy day at a crash scene on Route. 100, a few cars had slid off the road. Upon arriving, Sacco almost slipped getting out of his truck, and ordered the road to be shut down. A young state trooper didn’t agree with Sacco’s decision. After a brief argument, the trooper made it clear: If Sacco closed the road, he could be arrested. “Gary didn’t want to be arrested, so he made his argument once more,” Tupper said. The trooper still insisted on opening the road, so Sacco ordered it reopened. Then another car slid off. “He said, ‘That’s it, you can take me to jail, but we’re closing the road,'” Tupper said. According to Oxford Town Manager Butch Asselin, Sacco came to Oxford in a tumultuous time for the town. “It’s amazing what Gary achieved during his 22 months of service. Our morale dramatically improved and people were once again working as a team,” Asselin said. According to Asselin, part of what made Sacco so effective as a chief was his straightforward, honest nature. “We knew that in order to be an effective leader, one had to be honest, and have a very low tolerance for drama,” Asselin said. “Gary was a mold from which I wish other chiefs were cast. 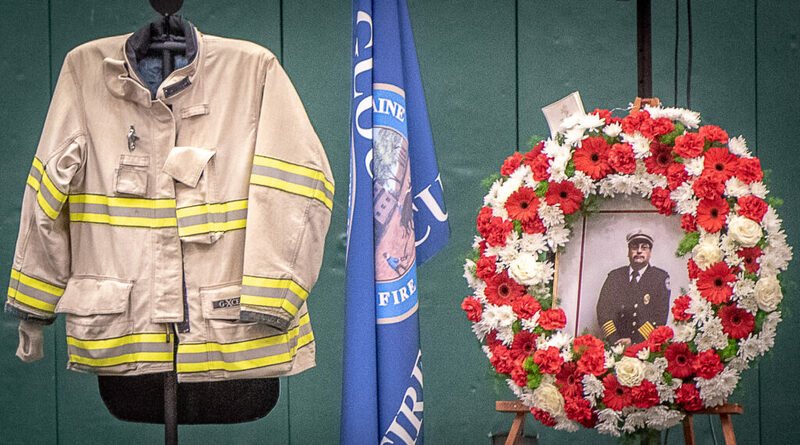 He was the embodiment of what a fire chief should be: He had a sharp wit, he was a good communicator,” Asselin said. Oxford Police Capt. Rickie Jack said he worked closely with Sacco at crash sites and incident scenes. 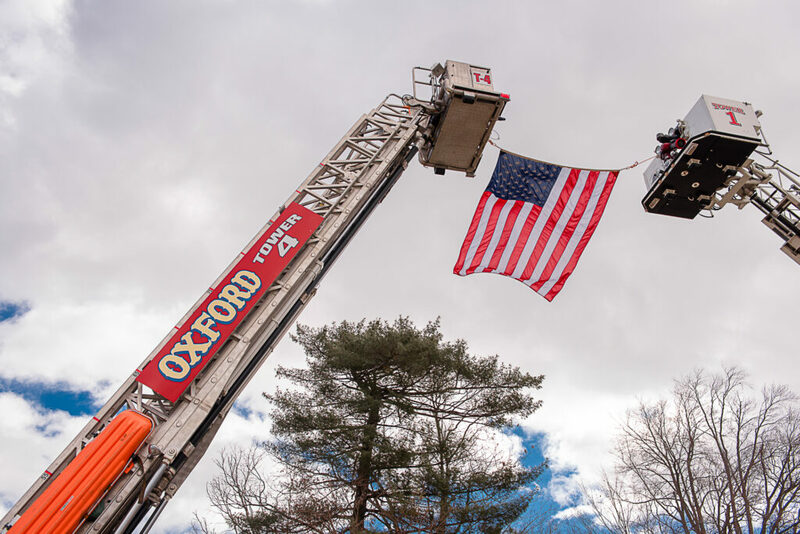 Outside the high school, the winter wind jostled an American flag attached to the point where two Oxford fire engines, with extended ladders crossed, met. Sacco’s remains were brought back to his home for a private burial.